The Broadcaster is The Schenectady Antique Radio clubs newsletter. In The Broadcaster you will find club news,events,restoration tips,and other articles. 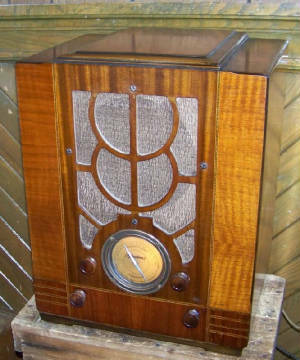 Welcome to The Broadcaster The Schenectady Antique Radio Club newsletter. I'm posting news befor our meeting for there has been two big local radio events so far in May. The first being a former club member who had a auction of radios,tubes,parts, and books, and magizines. It was well attended which included many of the clubs members. There were 58 lots of tubes which ranged from the 1920s through compactrons of the late 60s early 70s. There was also a few ham transmiter tubes included. Many lots off parts which ranged from caps,controls,transformers (all types), misc parts, speakers,chassis, and radios ranging from 1920s all the way up to a new one maybe early 2000's (?). The time it took to get through it all was better then three hours. Now just a few of the highlights of the auction. Early 1920s radios there were a few. A RCA Radiola IV, Browning Drake Regenaformer Great condition with a very fancy cabinet, RCA Radiola III and IIIA amp (This radio was in the chassis section in a box and was really I thought should have been sold as a complete piece. Plus there was one crystal set also in the parts section which looked like a Murdock! Speakers form the 1920s were well represented. Many RCA's. Model 100s there were three a pair of the 103s (flower speaker cloth) A Peerless cathedral style one and a big standing cone speaker which waw open but did sell for a pretty decent price. There were other speakers which included Zenith, a single AR2, and some others. Now moving on to the 1930s and 40s there were many consoles and a couple of table sets. A nice US Apex cathedral (working), many Zenith consoles which were in varying conditions. A nice Silvertone (chrome chassis with 2A3 audio tubes! ), A Temple midget metal table set from the late mid forties. Several just chassis too form this time period too. Nearly all of everything was sold except a few of the parts section pieces. Many of our club members bought items and were pleased with thier results. It was a good auction most everypne there enjoyed it very much. 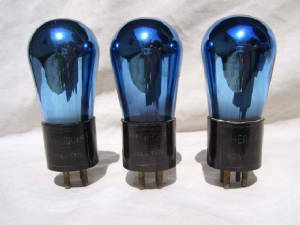 Many of our memebers bought tubes,some of the other parts, some of the chassis, the RCA Radiola IV, the Radiola III and IIIA, crystal set, Temple metal midget table radio,Majestic bakelite table radio, many of the transformer lots also. Now the East Greenbush Ham Club held thier hamfest on the 14th. It was really well attended also. The pavillion was filled with even having extra tables they were all taken! The parking lot fleamarket there was about a dozen out there. Now there wasn't really not much tube style ham radios there only at least what I saw. But there was some. First there was a couple of Hallicrafters model S38s small metal receivers. There was one Collins receiver which sold in a flash! It was on and sounded real nice. Now for antique radios this year there was many there which just about all of them were at our club tables which we had two of them. But let me start in the parking lot fleamarket. Two Zenith tube model Transoceanics. A H500 and a 600 model. Fair to good looking shape. The H500 was stested and worked and it sold. The 600 didn't sell. 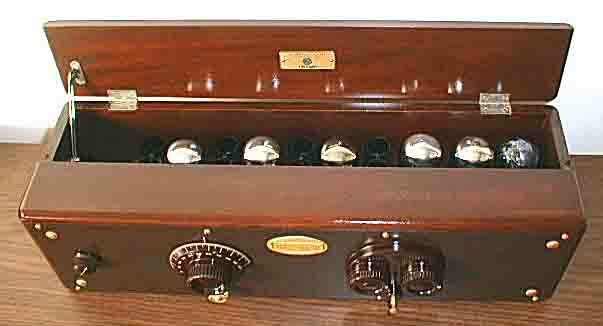 Then there was a interesting Fada which was a am radio phono combo. It flipped open like a tube caddy. Also there was a tube wire recorder which that sold quickly. There was one Zenith model Royal 1000 which was listed as a parts one which had only a $10 price tag on it which Lou DeGonzie bought and it turned out to be well worth more then $10! It had a perfect battybox to start off with. All the transistors were original and the transitors had the clip off leads done to the transistors that needed to be done. So lou was very happy to see all this. There was a chic bright pink GE clock radio from the late 1950s for $5 which Joe bought. There was also 3 transistor radios that I found bunched together in a box after Jonathen Newman showed me that they were there. A Channel Master late 60s small am portible, Two GE pocket radios one being a mid 60s model P1710 in its box. (Box and radio and case in very good shape) Last was a GE model 7-2250 am fm pocket radio. Now inside the pavillion there was the big lot of antique radios that were on our tables. Joe had several nice 1950s period plastic radios for sale. A couple of table radios and a couple of clock am radios too. I had one nice 1940 Philco tube portible for sale with some transoformers for sale. I sold a couple of the transformers along with some cables and misc parts. Now Bob Renyolds had his radios and other stuff he had brought next to my stuff and Joe's radios. Bobhad Transoceanics there too. A model G, a model 7G005 the first one with a bomber speaker grill cloth! A ver good parts radio for its handle was broken some of the pushbuttons had sd back inside the radio, and the dial estuction was missing. Bob also had a Transoceanic chassis there too. 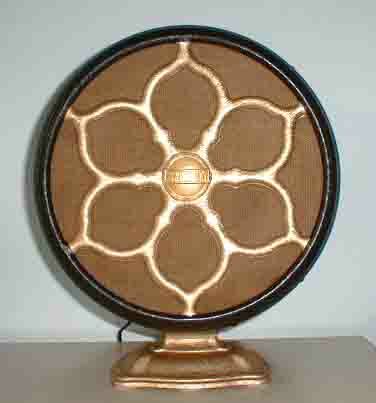 Other radios were a McGuire bakelite from the late mid 40's. A Tradio coin operaated hotel motel radio. A pretty nice art deco looking white bakelite table radio which I didn't look to see the make of. He had one of the S38 Hallicrafters. He had other test gear items which included aoscillascope and a tube tester. Every one was pleased it seemed as far as the buyers and sellers. Th3e East Greenbush club did very well with the money they had made having a good crowd there. They hope next May will be just as good or even better. That will have to be waited on for now. Ok that is it for now and after next Sunday and we have our regular meeting that will finish up a very busy month of May! We had our May meeting. The rain held off for the fleamarket. Now there was a varietyof items in the fleamarket. The was some radios,paper,test equipment, parts, etc. 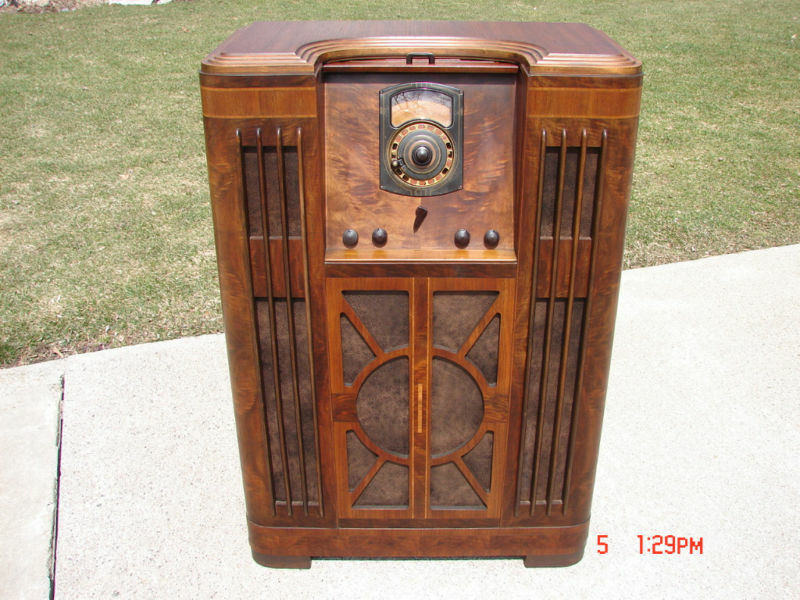 Radios included some tube radios which were a Westinghouse AM FM wooden table set late 40's early 50s. (?) There also was a Silvertone AM phono and wire recorder which was made by Colonail for Sears. Very nice looking condition. More tube radios a Grundig AM FM SW wood table radio which was not a export model at least to the USA. FM band only went to 104 mgrtz. There also were several Zenith tube radio chasis. Test equipment a TV7 tube tester signal generator, Simpson meter, and other test gear. The paper were some magizies and other publications and one large hardcover book. There was several transistor radios which one Sears Silvertone 600, Realtone 10 transistor, and a sports radio in the box. These found a new home with me. Now once inside the show and tell I had two batteryset radios from the 1920s. The first one was a Workrite kit radio 1925 vintage. This was a Ebay win and missed bringing it to last months meeting for it arrived the Monday after our April meeting. The second radio was a Freed Eisemann NR5. A common radio yes but this one I had the radios entire history. From its first owner to I the current owner. The radio too maybe not a USA made modelk but a Canadian made Freed Eisemann. For the first owner of the radio was a Freed engeneer and also established Freeds Canadian operations. There is one difference in the radio that makes me think it's Canadian. All the US made Freed Eisemann NR 5 models I've owned and have seen the isterstage transformers plates have been black with white lettering and labels. In this radio the metal labels on its transformers are brass black lettering. Then Jonathen Newman brought in the loose coupler crystal set he picked up at the Steve Short auction. He had cleaned it. The set looked pretty nice too. The brass was all nice looking. The two wire coils now the cloth was white. He also said that it does work but he told us not all that great. Bob Renyolds brought in a lighted Zenith window adverisement sighn. Very nice looking and when the lights were turned off in the meeting room his sighn was the star of the room! Nice red and yellow graphics. We discussed up comming events which were hamfests. Also mentioned is the Schenectasdy library has replaced all its radio hard copy books of Riders and Sams Photo Facts and has a subcription on line service now. It is on a trial bases now. It needs to have more use by the radio community or it will be dropped by the library. We can't let this happen. That took care of May. So I hope to be at Junes meeting. See you there! Choose a well lite work area. A clean area is a help too. Florecent lights are better with less shadow. A short knapp carpeted surface is good to work on in that screws,nuts, and other small parts will not bounce or roll as easy as on a hard smooth surface. A small slow fan will keep solder fumes away just keep the fan far enough away so it won't effect your soldering. Use a heat sink when you solder. This will draw off excess heat preventing damage to parts as you solder. Have all you tools handy that you will need for thejob along with the parts that you will be working with. A level chassis helps with the soldering making it easy to do. Remember take your time don't rush and your work will come out so much better.